We are mercenary filmmakers and storytellers with the sole purpose of sharing extraordinary ideas, people, places and things that make our world awesome. We are mercenary filmmakers and storytellers with the sole purpose to share extraordinary ideas, people, places and things that make our world awesome. We produce thoughtful, well researched and designed video experiences that are contextual and empathetic to your audience. Engaging, enlightening and entertaining audiences is what we strive to achieve. Alexander has always been enthralled with sharing stories no matter the medium or format. Whether that be a canvas, a photo or a film, his focus has always been about expressing an idea that leaves a lasting impression. 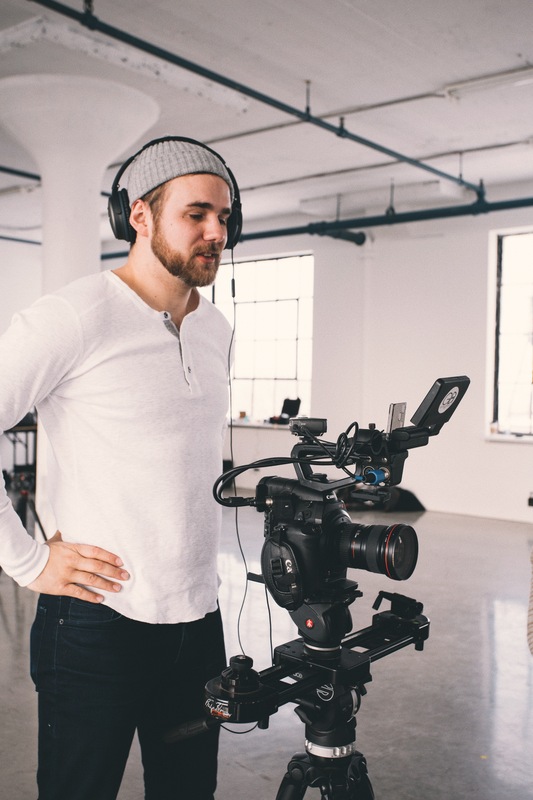 Starting his career in the fine arts, he transitioned to cinematography once discovering the range of stories to be told and endless opportunities to tell them. In 2011, in the midst of his undergraduate studies, Alexander started George Briggs Media, using his middle names as the company name. In the early years, he honed his directorial and cinematography skills working with tech startups. The desire to tell better stories led to the development of a design thinking methodology to create more impactful work, through more contextual research and empathetic direction, which GB uses and iterates to this day. In 2015, Alexander and GB hit a milestone, combining his other passion for automotive, producing and directing Tesla Motors global autopilot and all-wheel drive campaigns. His borderline obsession with cars and film doesn't stop behind the camera as he builds cars on his YouTube channel, Outlawed Motors. Since then, Alexander has directed and produced spots for leading companies in their industries, most recently RBC's documentary series on artificial intelligence. Alexander continues to focus on working with companies trying to disrupt the world to make it a better place while finding time to travel to the next adventure or tinker with his cars.